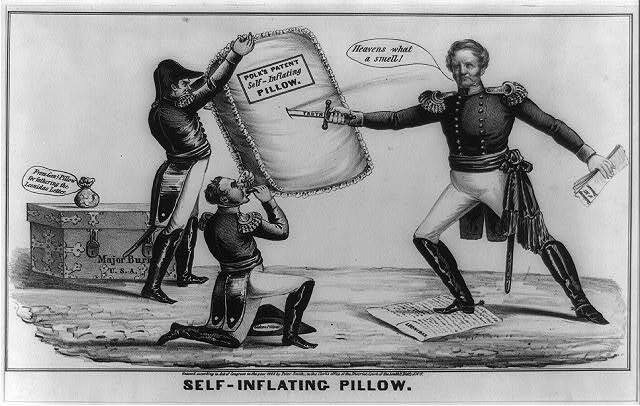 This continues the inspirational story of General Pillow from our earlier post. Our hero, Brigadier General Gideon J. Pillow, arrived in Mexico in the summer of 1846 to offer his services to Zachary Taylor. 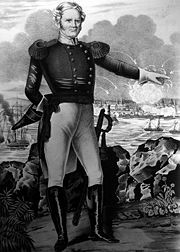 But the Mexican war had a story line of two sturdy competing commanders with equally impressive competing epithets. 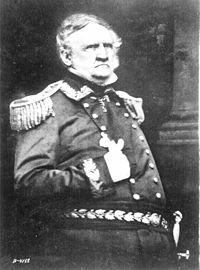 Taylor, or “Old Rough and Ready,” operated in northeastern Mexico, while Winfield Scott, “Old Fuss and Feathers,” was the commander of operations that started in Veracruz and advanced toward Mexico City. 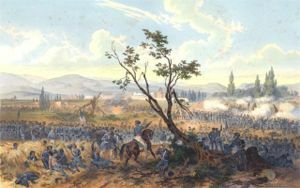 Taylor took an immediate personal dislike to Pillow, regarding him (correctly) as a political appointee, and he invented an excuse to separate Pillow from his 1st Tennessee regiment and keep him from participating in the battle of Monterrey. 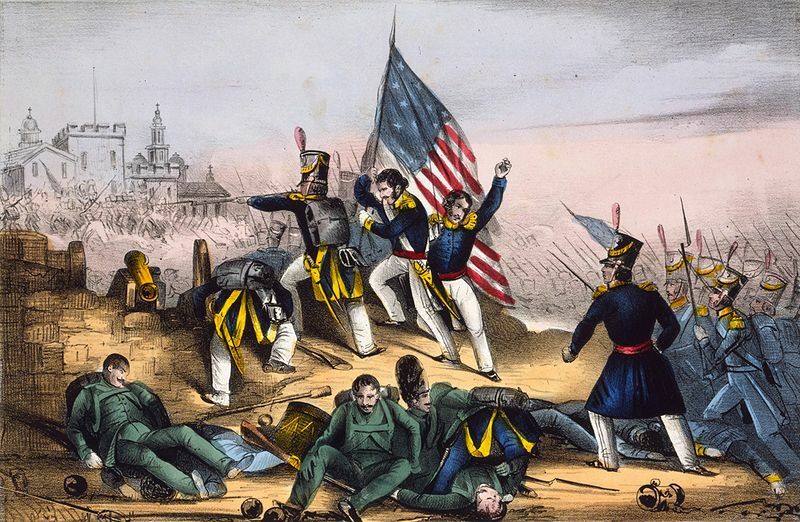 Pillow’s first taste of battle came at the siege of Veracruz, and his performance seems to have been satisfactory, as he headed a brigade that attacked a small Mexican cavalry unit guarding the city’s water supply. Lumping him together with three other generals in his official report, Scott said, “Four more able or judicious officers could not have been desired.” On the basis of this sweeping but somewhat vague statement, Pillow’s ally, President Polk, had him promoted to the rank of major general. 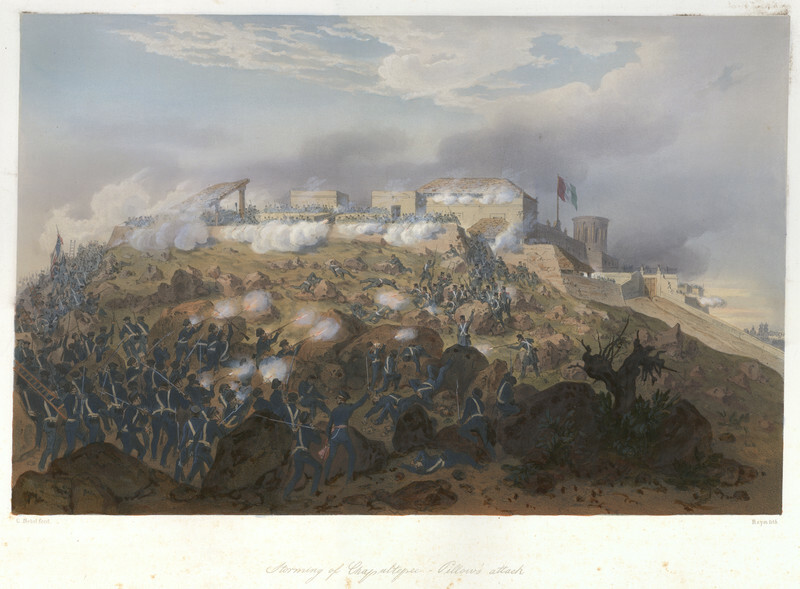 The next morning, Pillow took charge of his troops, ordering them to march along a route that happened to expose them to direct fire from Mexican artillery, rather than around the back of a ridge as planned. The topography was complex, and Pillow had perhaps not studied it very carefully. The orders triggered loud quarreling between Pillow and his lieutenant, who understood the consequences of ignoring the lay of the land. Pillow’s voice carried through the air to the ears of Mexican artillerists, who promptly launched a flurry of grapeshot, now that they knew the precise location of the enemy. 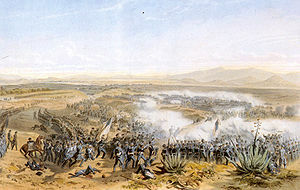 It was one of the few positive events of the battle for the Mexican side, which by the end of the day was forced into an ignominious surrender. (In fact, Santa Anna was forced to ride off in such a hurry that he left behind his artificial leg, which was captured by the Illinois Volunteer Infantry.) In the confusion of the artillery fire, Pillow received a slight wound to his arm and was seen disappearing down a hill to the rear, not to be seen again during the conflict. A later account from sympathetic sources would say that our hero’s “impetuous courage” had led to his being wounded. 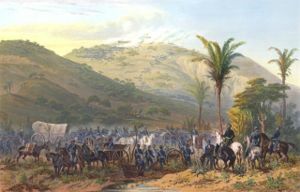 Captain Robert E. Lee played an important role at Cerro Gordo in scouting an attack route over the steep, broken terrain. Other familiar names who served in Scott’s army: George McClellan, Joseph Johnston, P.G.T. Beauregard, George Meade, Thomas Jackson (later known as “Stonewall”), and Ulysses S. Grant.